I love helping out, I do my job right no wasting time . Please let me know how I can help to make your vacation worry free .I love helping out, I do my job right no wasting time . Please let me know how I can help to make your vacation worry free .I love helping out, I do my job right no wasting time . Please let me know how I can help to make your vacation worry free . Available For a House Sitter Job in Tilbury, Ontario area.Available For a House Sitter Job in Tilbury, Ontario area.Available For a House Sitter Job in Tilbury, Ontario area.Available For a House Sitter Job in Tilbury, Ontario area. I am an Honest Lady with good Work Ethics. I am able to check your home , feed animals, and water plants. I live in Lighthouse Cove.I am an Honest Lady with good Work Ethics. I am able to check your home , feed animals, and water plants. I live in Lighthouse Cove.I am an Honest Lady with good Work Ethics. I am able to check your home , feed animals, and water plants. I live in Lighthouse Cove. 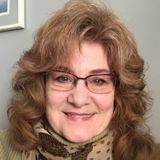 HouseSitter.com is an online house sitting service that connects homeowners with a community of reliable individuals offering short and long term house sitting and pet sitting services in Tilbury, Ontario. Finding reliable & trusted house sitters in Tilbury, Ontario can be hard but our simple to use website makes it so much easier! If you’re going on a long-term vacation or taking an extended business trip get yourself a professional house sitter and set your mind at ease knowing your home and pets will be taken care of while you’re gone.